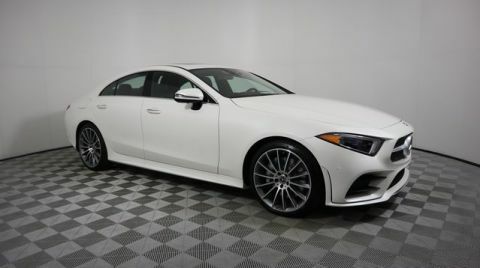 White 2019 CLS CLS 450 RWD 9-Speed Automatic I6 I6. Please reach out: in case we missed a picture or a detail you would like to see of this 2019 CLS, we are happy to send you A PERSONAL VIDEO walking around the vehicle focusing on the closest details that are important to you. We can send it directly to you via text, email , or Facebook messenger. We look forward to hearing from you! 24/31 City/Highway MPGWhite 2019 CLS CLS 450 RWD 9-Speed Automatic I6 I6. 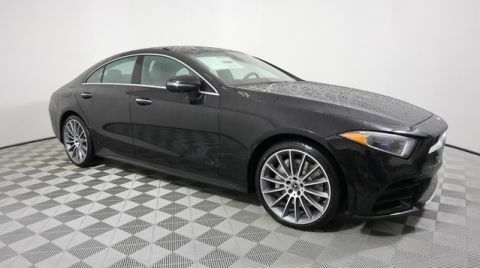 Black 2019 CLS CLS 450 4MATIC® 4MATIC® 9-Speed Automatic I6 I6. Please reach out: in case we missed a picture or a detail you would like to see of this 2019 CLS, we are happy to send you A PERSONAL VIDEO walking around the vehicle focusing on the closest details that are important to you. We can send it directly to you via text, email , or Facebook messenger. We look forward to hearing from you! 23/30 City/Highway MPGBlack 2019 CLS CLS 450 4MATIC® 4MATIC® 9-Speed Automatic I6 I6. 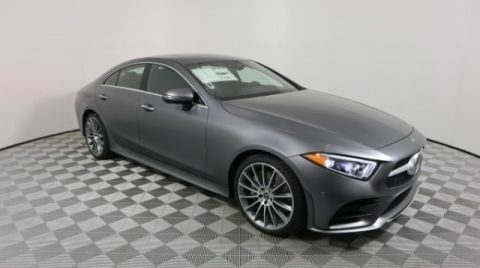 Graphite Grey Metallic 2019 CLS CLS 450 4MATIC® 4MATIC® 9-Speed Automatic I6 I6. Please reach out: in case we missed a picture or a detail you would like to see of this 2019 CLS, we are happy to send you A PERSONAL VIDEO walking around the vehicle focusing on the closest details that are important to you. We can send it directly to you via text, email , or Facebook messenger. We look forward to hearing from you! 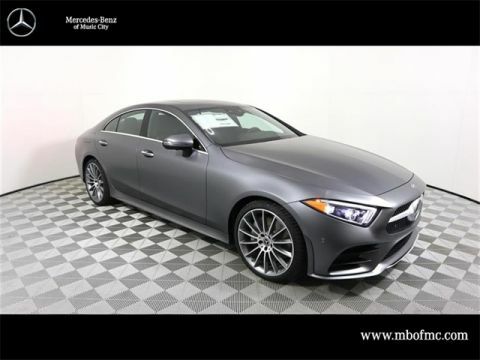 23/30 City/Highway MPGGraphite Grey Metallic 2019 CLS CLS 450 4MATIC® 4MATIC® 9-Speed Automatic I6 I6. 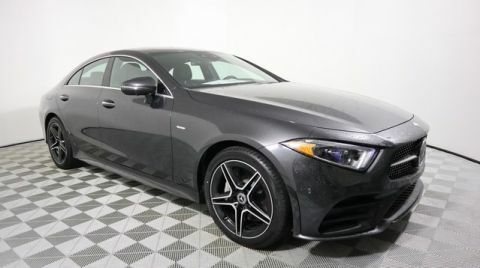 designo® Selenite Gray Magno 2019 CLS CLS 450 RWD 9-Speed Automatic I6 I6. Please reach out: in case we missed a picture or a detail you would like to see of this 2019 CLS, we are happy to send you A PERSONAL VIDEO walking around the vehicle focusing on the closest details that are important to you. We can send it directly to you via text, email , or Facebook messenger. We look forward to hearing from you! 24/31 City/Highway MPGdesigno® Selenite Gray Magno 2019 CLS CLS 450 RWD 9-Speed Automatic I6 I6. 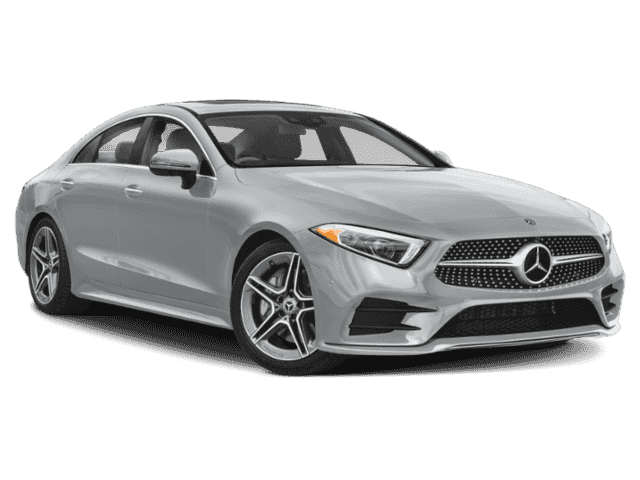 Silver 2019 CLS CLS 450 4MATIC® 4MATIC® 9-Speed Automatic I6 I6. Please reach out: in case we missed a picture or a detail you would like to see of this 2019 CLS, we are happy to send you A PERSONAL VIDEO walking around the vehicle focusing on the closest details that are important to you. We can send it directly to you via text, email , or Facebook messenger. We look forward to hearing from you! Recent Arrival! 23/30 City/Highway MPGSilver 2019 CLS CLS 450 4MATIC® 4MATIC® 9-Speed Automatic I6 I6.